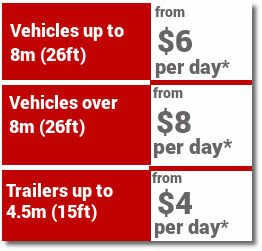 Long term storage for cars, boats, caravans, machinery and other vehicles on account must be paid for four weekly in advance. The minimum billable storage period is one week and rates are calculated in units of a week. All vehicles are parked at the owners risk and vehicles must be insured while in storage. 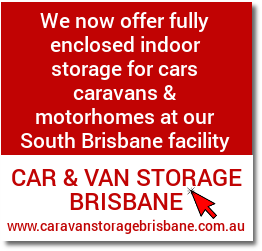 The facility is for storage only and servicing or restoration of vehicles is not permitted on site. Gas tanks on boats and caravans must be switched off whilst in storage. No chemicals or gases other than in the vehicles normal fuel tank are to be stored with any vehicle. Management reserve the right to refuse storage of any vehicle that they consider may be a safety or environmental hazard.